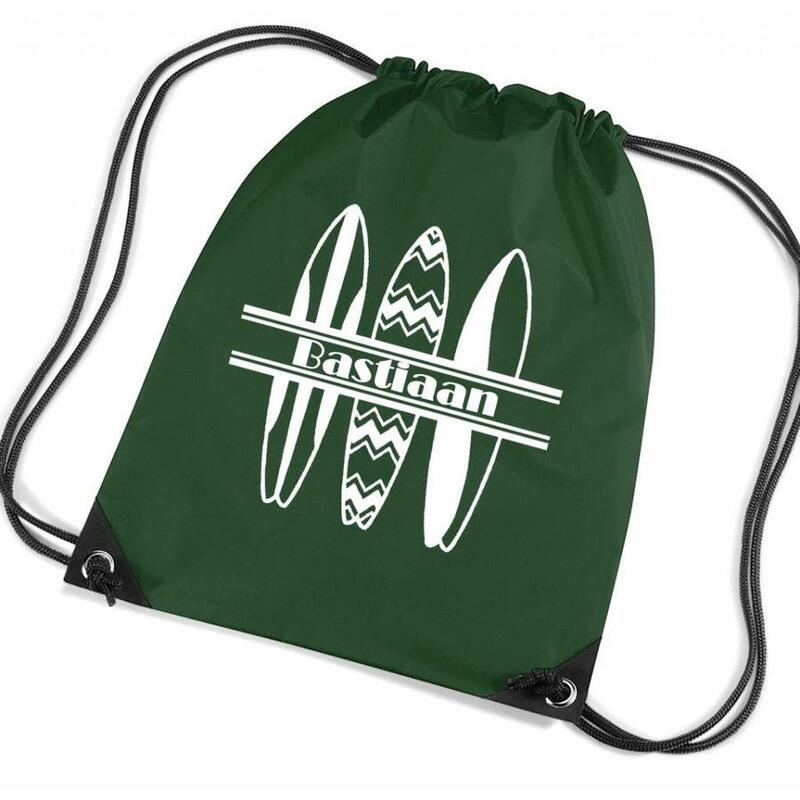 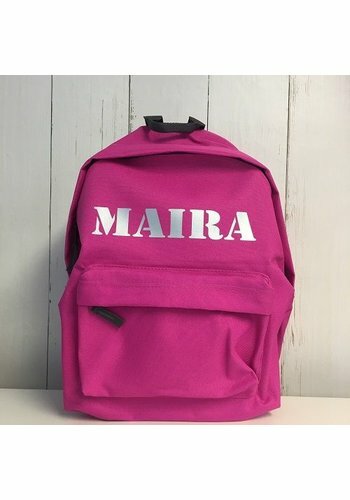 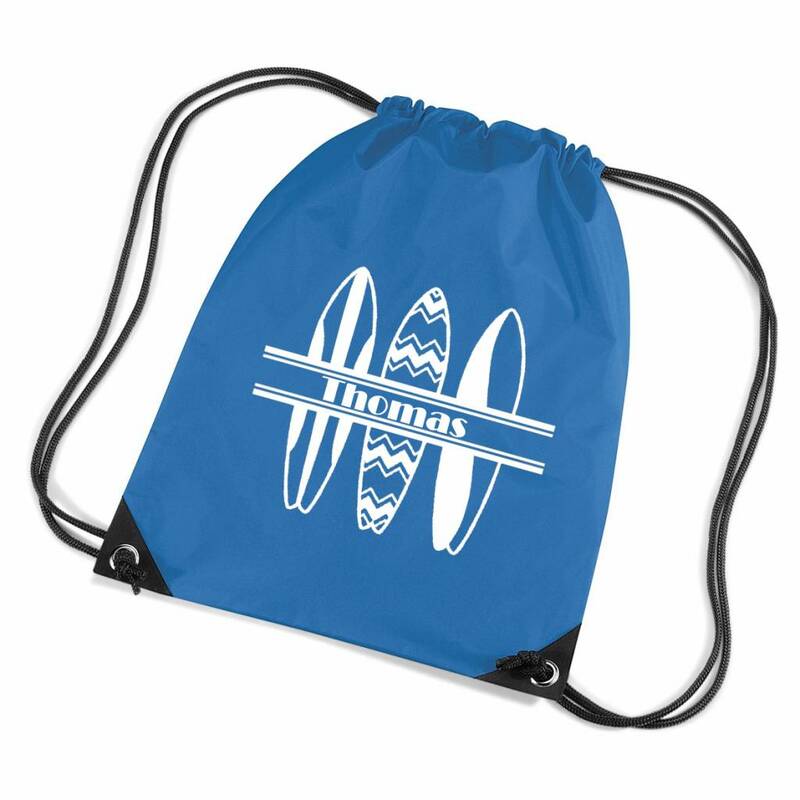 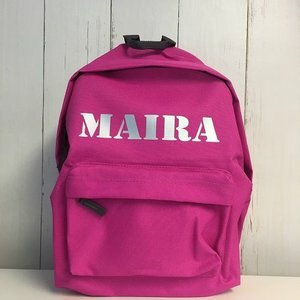 Personalised drawstring gymbag with surfboards and your name. 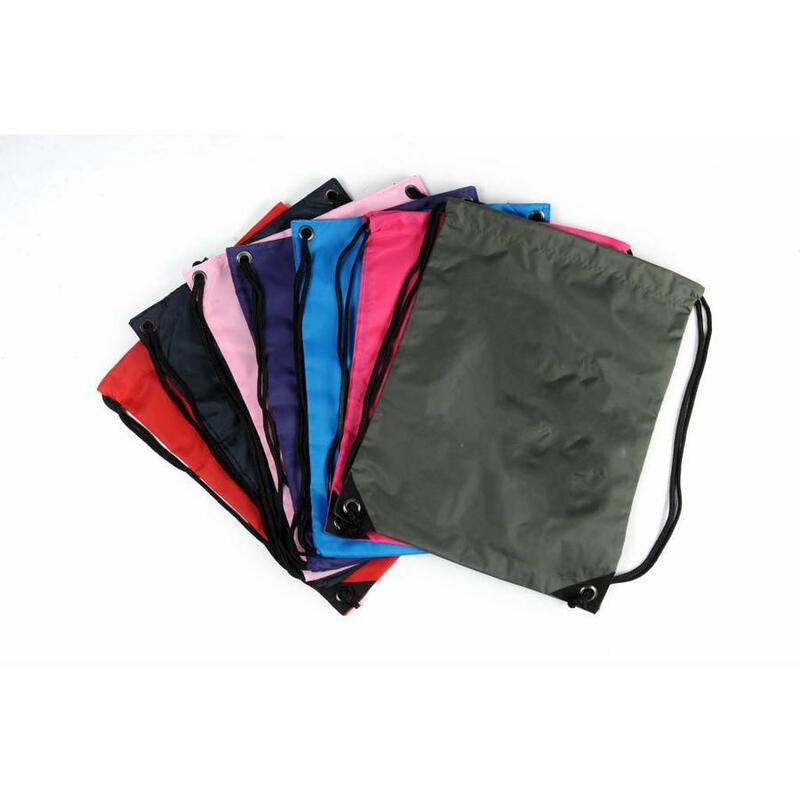 Muttiple bag colors available. 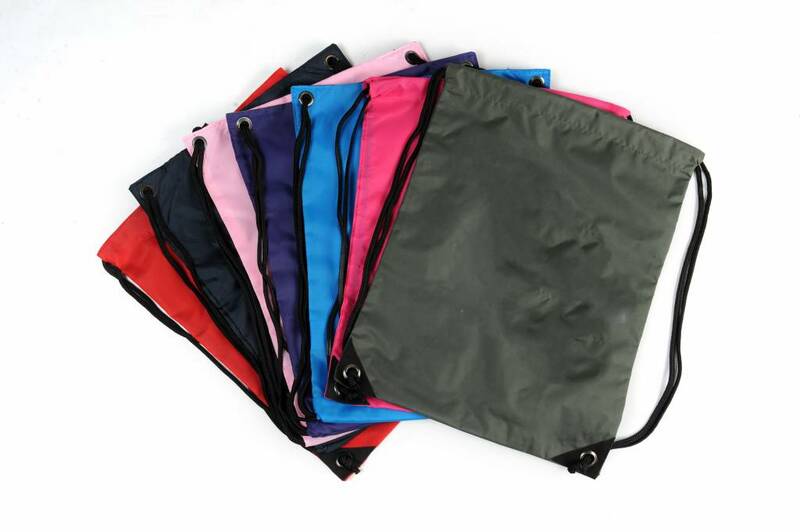 This practical gym bag is made of water-repellent 210D nylon and easy to clean. The gym bag has reinforced corners and a black drawstring. The surfboards image will be printed in white, the tekst in the color of your liking.